Most of the time when someone's pretending to interact with a piece of street art it's to mime touching some breasts or, in the case of Mario graffiti, jumping underneath a yellow block. 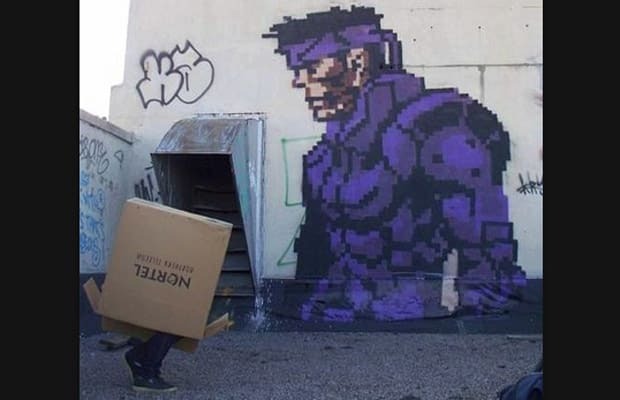 This one's a lot more creative, as they actually had to find a cardboard box. That or they carry one around just in case such a situation should arise.